Nationwide Tank and Pipe has perfected the aboveground and belowground tanks. We have since accomplished excellence in the straight wall, rectangular tank. If our customer would like something built in fiberglass and provides the blue print, Nationwide will build it. The Nationwide Tank and Pipe factory winders are Magnum Venus CNC Ultra Winders capable of hoop-chop winding in addition to helical winding. A helical pattern ensures tanks are more durable and have superior strength than hoop wound tanks. 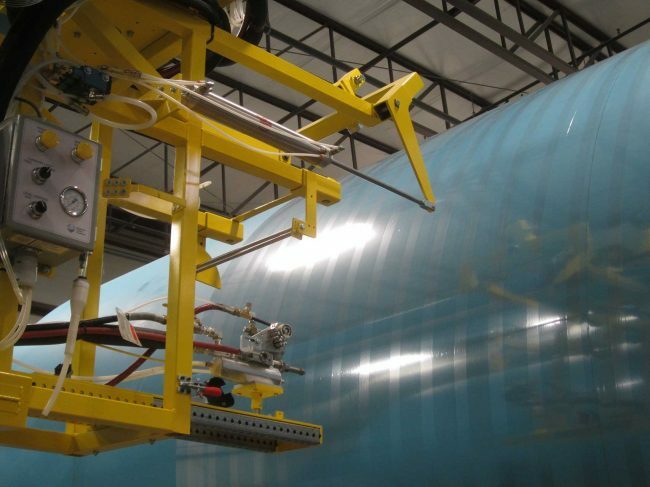 Further winding capabilities allow Nationwide to produce tanks from a 1.1 Specific Gravity to a 2.2 Specific Gravity. We employ in-house Chemists, Engineers and Graphic Designers who utilize the latest technology so that we can provide the highest quality tank produced with utmost integrity. All products are fabricated with universally accepted standards with contact molded laminates conforming to ASTM 4097 and filament wound laminates conforming to ASTM D3299. All water tanks are built to AWWA/NSF 61 standards. 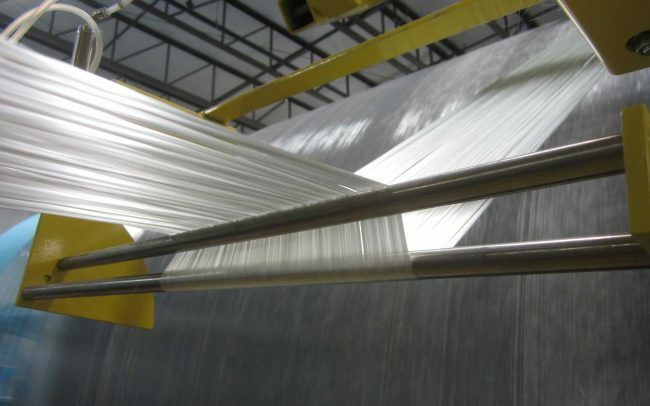 Resins used in fabrication are laboratory tested and are chosen based upon customer information regarding concentration, temperature, and corrosive behavior of the product being stored. FDA and fire retardant resins are available for special applications. All potable water tanks include premium grade resin, a Nexus liner and are NSF 61 approvable.